← Is Your Business A Sailboat or Speedboat? At one time or another, all of us have had someone that tells us “I cannot afford to work with you”. Sometimes, that is simply the case. However, most of the time, it really boils down to them not seeing that the value of the work greatly exceeds the investment. Is what you are offering, really worth the investment for them? Will they receive exponential value from the investment that they make? And have you asked the right questions to see the huge gap between where they are and where they want to be and how you can masterfully help them bridge that gap? As an example, I hear that Tony Robbins charges $1,000,000 a year to coach with him 1:1. I don’t care how wealthy you are, that is serious money. But he has no shortage of clients. Why? Because he gets results that are of exponential value from the investment people make in working with him, and he knows it and so do his clients. Most of us would never even consider that, even if we had the money. It all boils down to what we value. And Tony Robbins’ clients see that value. I have had some clients work with me that went into debt (initially) to work with me because they believed (and so did I) that I could give them the keys to creating financial success in their business. 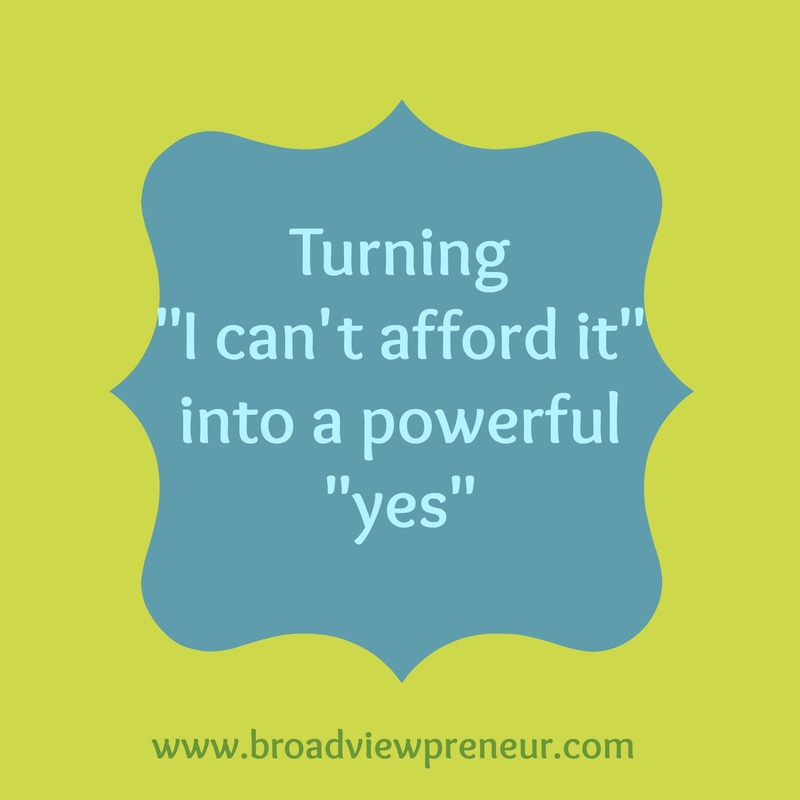 It is paramount that both you and the client believe in the power of the work for it to be a powerful “yes”. One of the catalysts that can evoke a “I can’t afford it” response is your inner voice thinking “they can’t afford this!”. Our money issues or judgements can seriously get in the way of allowing our Divine Ideal Clients saying “yes” to us, even if they desperately need our help. Once upon a time, I wouldn’t have allowed a client work with me who had to go into debt because I was uncomfortable with having any sort of debt myself and I was projecting that onto them. 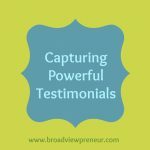 We have to make sure we know our own money saboteurs and not allow them to take the wheel during our Discovery/Introductory Sessions with potential clients. And we also need to make sure we believe in our services and programs , know it can make a significant difference for our Divine Ideal Clients and it’s worth the money. So, let’s say you do believe in your services and you know it can make a significant difference to the person, but they still pull the “money card”. How can you overcome that? Know that much of resistance comes from fear. Fear of the unknown; fear of getting way outside their comfort zone; fear of failure. The key to a powerful “yes” is to have their desire be at least 10x their resistance or fears. So you either need to heighten the desire, or lower their resistance, or both. If they say they can’t afford it, the first question I ask is “if it weren’t for the money, would you want to move forward?” If they say “I’m not sure” or “no”, this means that either you haven’t been able to illustrate the power and value of your services, or that they simple aren’t a good fit. It is an opportunity to ask them some more questions to paint the gap between where they are and where they want to be and see if your services really are a fit to fill that gap for them. Your goal here is to make sure the full picture is painted and that you have them see what is possible for them (heighten their desire) and mutually determine if it is a good fit or not. If they say “Yes” (I would do it if it weren’t for the money), I usually ask “What is the cost to you if you do nothing (to you time/money/energy/happiness)?”, “What if a year goes by and nothing shifts, what is the cost and implications of that to your life, your health, your family?”. The reality is for a lot of the work that we do, our Ideal Client cannot afford NOT to do this work. The opportunity cost is too high. If you can paint this, suddenly your services seem not only valuable but necessary. And for many of you, your services have not only an indirect connection to their prosperity, but a direct link – you can help them make more money or earn more money through the work that you do. If that is the case, you want to make sure you illustrate that clearly and lay it out for them. If someone invests $500 a month in your services, but they will double their income in 3-4 months, it is important that you lay out what is possible for them. 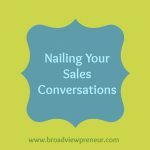 “Most of my clients have brought in enough new revenue after 2-3 months to pay for their coaching, and are seeing their revenue increase 30-50% in the month or two following. I know that is possible for you, too”. Lastly, even if their desire is high, they still might need help finding the money to invest in you. If cashflow is a real barrier, I would brainstorm ways for them to “raise” the money to work with you. As example, borrowing it from a relative or even a spouse (with interest! ), holding a garage sale, selling some expensive knick knacks on eBay that are just gathering dust or getting a line of credit from their bank. So, if this has been a real issue for you in your business, I have 3 homework assignments for you. 1) To look at your own relationship with money. 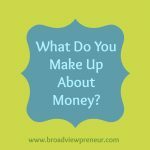 Where do you have a clean relationship with money? Where do your money saboteurs come in? How can they impact your ability to enroll clients who would otherwise be ready to work with you? 2) To look at the value proposition for your services. Can I add value to my services and packages that make them even more valuable (and leverage my time/energy)? Where do I doubt myself and the value of my services? 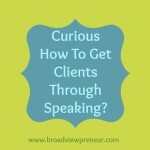 How can I remind myself of the huge impact I can make on my clients when I’m doubting it? 3) Create a discovery script that can help heighten desire and lower resistance so that the money issue is less likely to arise. Have some follow up questions (using some the questions above, perhaps) to help direct the conversation if money issues come up. As always, I would love to hear your feedback and thoughts! 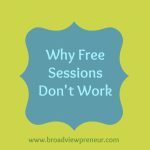 And if you feel you need a lot of support or help to get a powerful “yes” in your discovery sessions, feel free to book a Business Breakthrough Session with me by clicking here.